Taking Revit into the future…..
David Light HOK London explains how HOK has adapted Revit for touch screen technology. A request was made to me this week by one our project managers who wanted to know whether we were over or under our area requirements on one of our projects. 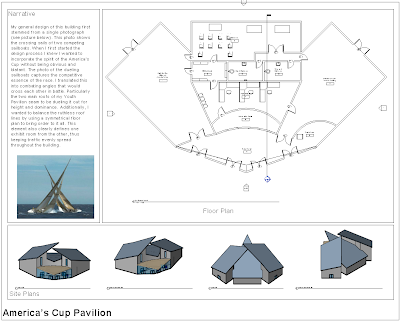 We needed to show which rooms where providing more area than had been defined in the client brief & this needed to displayed graphically on plan. You would normally do this by setting up a Colour Scheme to display the results by a range. However, on this occasion we just needed to display the results as either yes or no. I was able to resolve the problem which I explain in the youtube video below; it got us the result we needed. I am sure there must be a slicker way to do this, however this rather “rushed” video explains the steps I took. Wanna know more about Citrix & Revit? Then be sure to check out HOK’s John Bartolomi, Director of IT Services class. 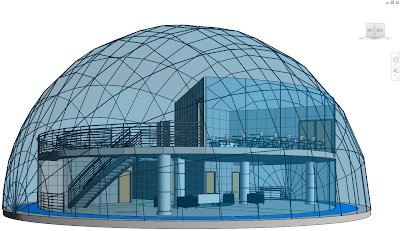 He will be giving a presentation at Autodesk University on the virtualization of Revit. Class detail & times are below. Find below Youtube Video with a few tips on how we use Room separation lines in projects. I can’t take full credit for the parking bay concept as I believe Joe Stott over at Revit Scratchpad came up with something similar first off. The August 2011 meeting of the New York City Revit Users Group featured a presentation by Greg Schleusner of the firm-wide BIM leadership team at HOK. Greg demonstrates how the use of BIM-based program management tools such as dRofus can support and improve the project delivery process. The discussion focuses on the benefits of adequately documenting program requirements and then comparing those to an evolving design model. NOTE: The featured presentation starts at about 12:00 into the recording. Need to reuse details from project to project? (of course!) 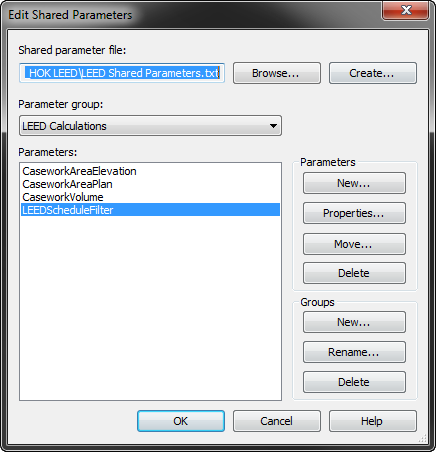 Did you know that you can directly copy views from one project to another? Simply select and copy them from the project browser. Then paste them (ctrl+v) into the work area of another project! 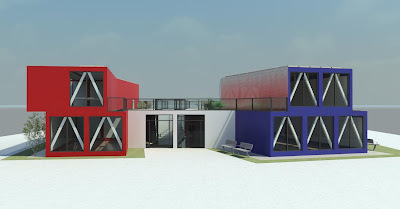 (Depending on your browser organization) the views will show up in the same position they did in the previous project. 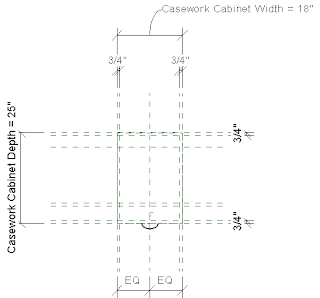 Did you know there are two very different types of CAD backgrounds? The easiest and preferred method to link in a dwg is as a 2D background. 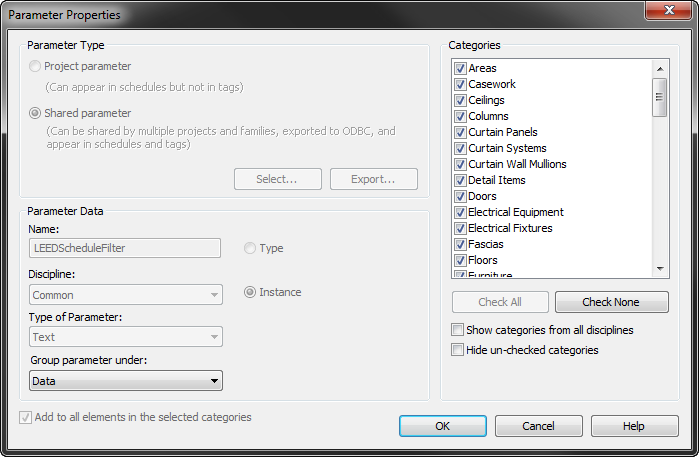 Select a CAD background.. if you are able to specify foreground / background from the options bar, then it is a 2D background. When would you want to use a 3D background? 3D backgrounds will be visible in all views where they are within the view range. Therefore if you link a CAD plan in, all floor plan views will automatically show the background! A 3D background is not flattened, so any linework that has a height (Z value) other than 0” may show in unexpected places or not at all. The seemingly random, bulgy, coloured linework in an elevation is usually a 3D dwg being seen from the side. These can be easily hidden by turning off “Imported Categories” through VG. When would you want to use a 2D background? 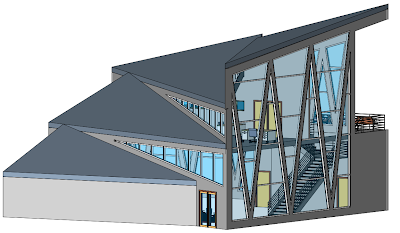 Sending the dwg link to foreground will show the CAD on top of all model elements. Sending the dwg link to background will place it behind model elements. So how do you choose to link a dwg as 3D or 2D background? 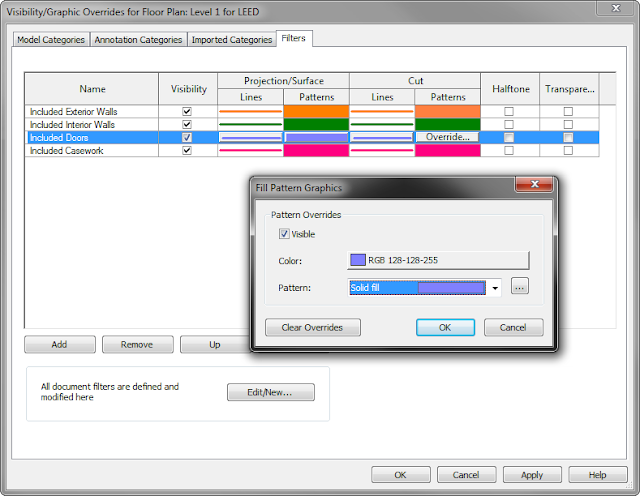 To solve this, go to the Navisworks Options Editor (under the Application button) and examine the Model options. You may have to scroll down to find this option, but make sure the setting for “Close NWC/NWD Files On Load” is checked as shown below. This will allow you to overwrite the NWC files while Navisworks is running. With this setting enabled, you must remember to refresh your file set when an NWC file is overwritten. Found on the Home tab (or by pressing F5), this is the usual method for updating when an original model of another format (DWG, DGN, IFC…) is received. So you’re working on a renovation project and going for LEED certification, congratulations! 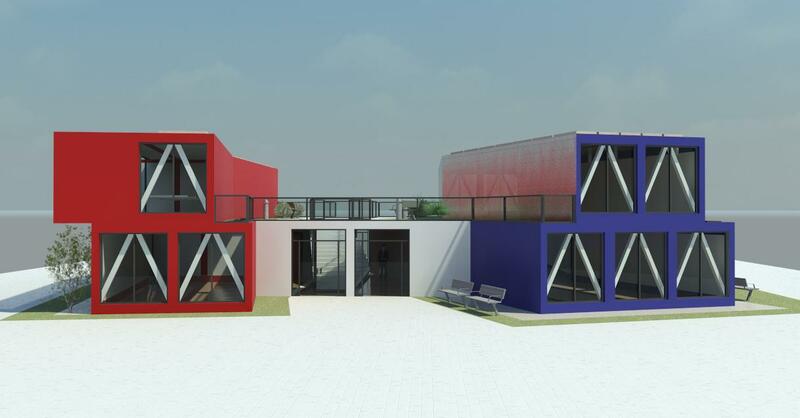 You’ll eventually need to calculate total surface areas for various elements in your design and compare them between what is being reused, demolished, and new for material reuse credits. 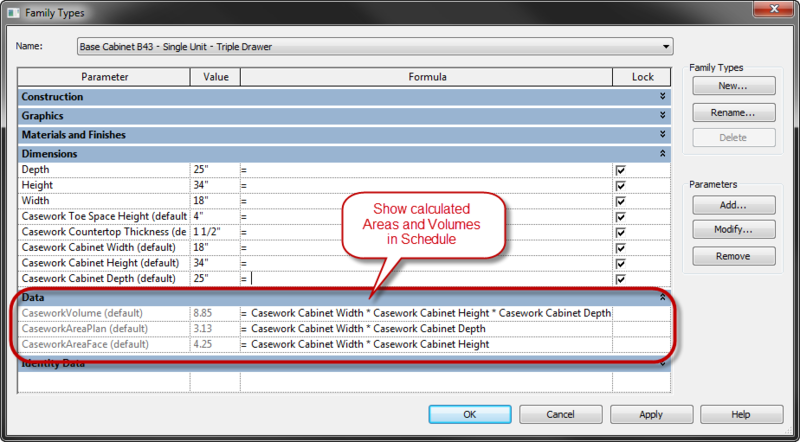 Here are a couple of Revit tricks to gather these calculated values and display them in a nice and easy to read set of schedules. 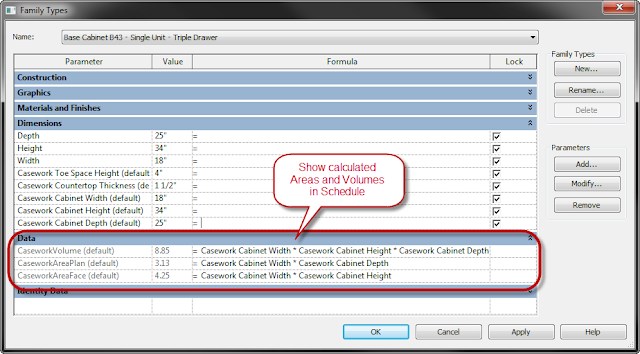 You will need to create separate schedules for New, Demo and Existing for proper comparisons. 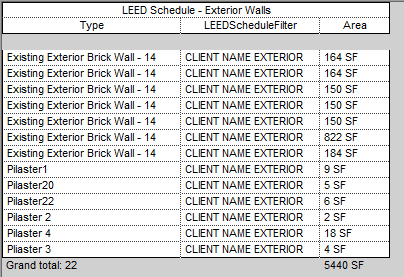 First create a new text shared parameter named something to the effect of “LEEDScheduleFilter” and bind it to all categories in your model. This parameter will be the target of any schedule and view filtering for each of our required conditions. 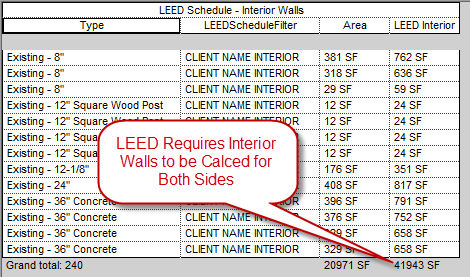 This parameter also allows us to filter out specific elements that exist in the facility model but are not part of the renovation scope (very important). Bind this new parameter to all categories in your model. 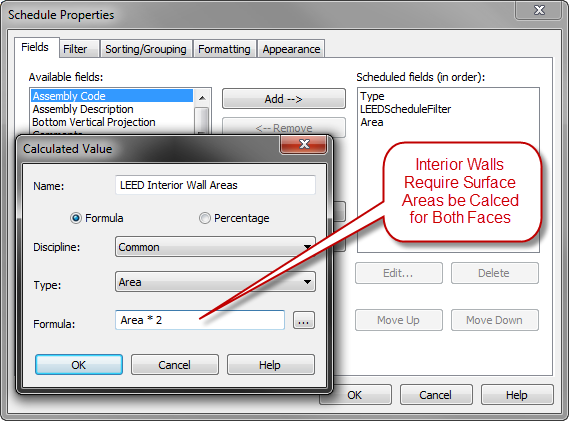 Some families may need to be modified to schedule calculated facial areas and volumes (doors, casework, etc.). Now that this parameter is accessible as an instance parameter to all categories in the model, we can begin to enter filtering data for the categories that we need to calculate surface areas for. Apply these filters to the view and set a color for each of them so you can tell which elements have “qualified data” applied to them. 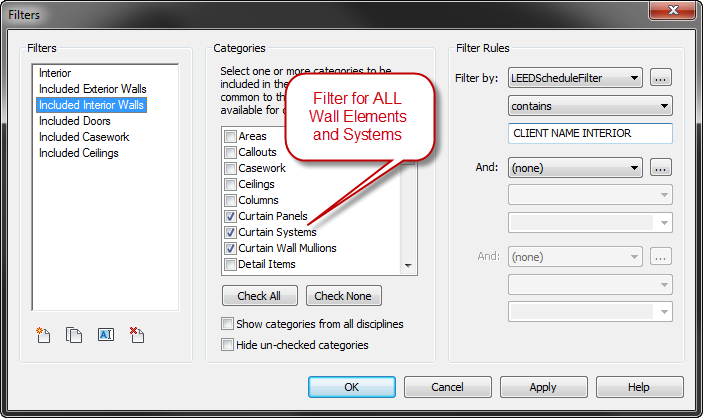 Setup your schedules to use the same filtering rules as your filter views.